Here’s another short story detailing how a simple little change ended up being a bigger headache than I had planned. It was a simple task, replace the SSL certificate for the discussion forums since it was soon expiring. Renewing the certificate from RapidSSL was a relatively easy task. I uploaded the new intermediate root and certificate files to the server, bundled them together into a single file and modified the Nginx configuration and proceeded to restart the Nginx process. Oddly enough after I restarted the Nginx process I got an “ERR_CONNECTION_REFUSED” from Chrome. 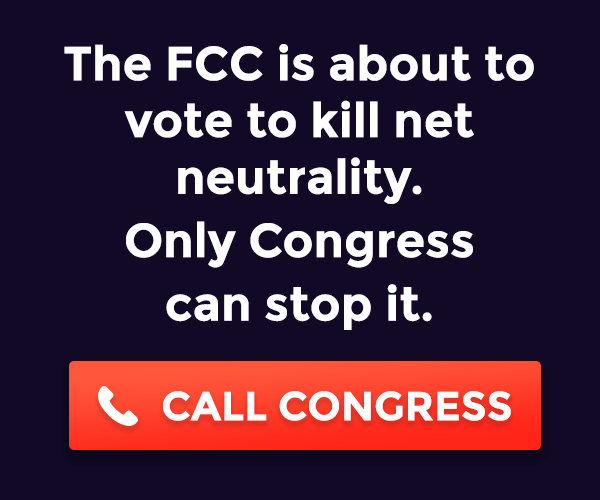 A quick test via cURL provided the same result, “connection refused“. I backed out the configuration change and restarted Nginx only to still have the same problem. I thought, “now that is very odd indeed”. I had backed out the configuration change yet I was still having an issue. I quickly realized that the problem was impacting all the websites I managed on that specific server and it appeared that any HTTP or HTTPS connections were getting refused, I confirmed this from a packet trace by observing a TCP reset packet being sent by the server upon receipt of a SYN packet from the client. I checked to see that Nginx was listening on TCP/80 and TCP/443 and it was listening on both ports [Example: lsof -i / netstat -an]. I got a hint when I checked the IPv6 address using cURL and got a response. Nginx was answering IPv6 requests but essentially ignoring IPv4 requests. Something else must have changed outside of the simple certificate configuration change that I had already rolled back. A quick look at yum revealed that Nginx was updated back on September 10th, that was a significant find. but that left me without Nginx installed at all. I suspected something changed in Nginx with the update, I know that the server was responding to IPv6 requests but not IPv4 requests so I started looking at the configuration files for the virtual hosts and quickly focused on my use of a single listen directive for both IPv4 and IPv6. I looked back at the server logs and determined that Nginx was upgraded from 1.0.15-5 to 1.10.1 back in September. It turns out that as of 1.3.4, the ipv6only directive is enabled by default which disables IPv4. While doing some research I also stumbled across an article from Michael Hughes titled ‘Nginx ipv6only setting gotcha‘ which described the same issue I was experiencing. I had planned to spend about 30 minutes replacing the SSL certificate, after almost 2 hours of downtime I finally managed to get the websites up and running again. This is par for the norm working in Information Technology, you usually need to be a part-time detective to figure out what broke before you can fix anything. I eventually got back around to replacing the SSL certificate and that worked without issue. 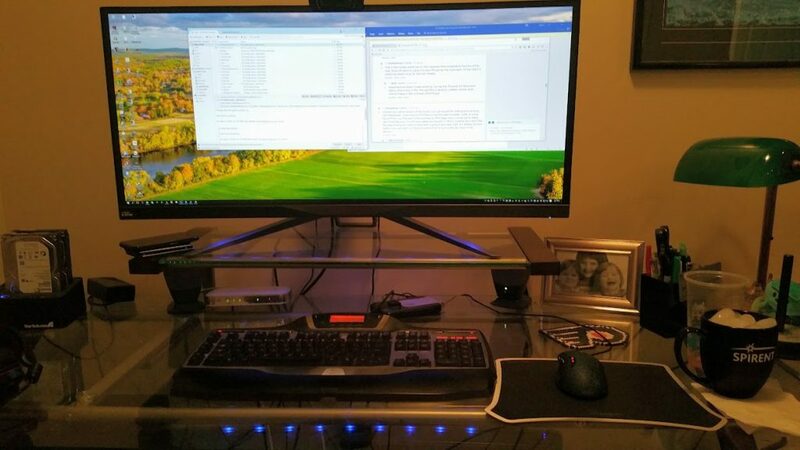 I recently got the hardware itch again and decided to replace my dual ASUS 27″ LCD monitors with a single Acer Predator X34 34″ Curved LCD monitor. In order to drive that 3440 x 1440 display I replaced my MSI Twin Frozen R6950 with an EVGA GTX 1070. I’ve had the ASUS displays since back in 2012 so at four years old they have served me well but I thought it was time for a change and I decide to spend a little more money than I usually would for a monitor and graphics card combination. I’ll need a few weeks to see how I really like the new display but so far it looks beautiful. As you can imagine there are a large number of computers in my house and like most households we’ve had more than our fair share of hard drive failures so backing up our files (and pictures) has become an important task. About 18 months ago I setup CrashPlan (now called CrashPlan for Home) to backup my desktop computer and my wife’s to a third hard drive connected to my primary desktop. It’s been working great for the past 18 months or so until this morning when I received two emails from Code42, the makers of CrashPlan, advising that neither computer had been backed up in 3 days. I restarted both computers and found that CrashPlan had lost my user credentials on my primary desktop the destination device. I provided my credentials to the CrashPlan application but then I was left with a “waiting for network connection” error on both the source and destination computers. I launched the CrashPlan application on the source and found two destinations with the same computer name, one marked green (online) and one marked grey (offline). I had to select the computer marked green to get the backups to start running. I then had to deactivate the offline computer to remove it from the list. There was an upgrade back on January 12, 2016 to v4.5.2 for CrashPlan for Home. I’m guessing that something went wrong in that update. I can’t really complain though since I’m essentially using the service for free since I’m not backing up to the cloud and it’s been working fairly well for the past 18 months. What are you doing to backup your files on your home desktop/laptop? I ran into an interesting problem while recently checking over my blog. I noticed that the RSS feed from the discussion forums was failing to load in the HTML footer of my blog. It was returning the error “RSS Error: WP HTTP ERROR: SSL connect error”. So I started digging into trying to figure out what had broken. So there’s some issue with cURL negotiating between SSLv3, TLS 1.0, TLS 1.1 and TLS 1.2. I turned to Google and found way to many bug reports and issues with how cURL tries to negotiate the transport layer security protocol. There’s a lengthy discussion regarding bug 1170339 concerning cURL’s default behavior on a RedHat/CentOS client and covers the exact scenario I’m experiencing. I decided to turn my attention to the server configuration, perhaps I could find a quick fix in the server configuration, because a client fix might work for this specific client but would still be present for anyone else on the Internet using the same client software. I recall recently removing TLS 1.0 support from the Nginx configuration file so I’m guessing I broke it myself (funny how that’s usually the case). I restarted Nginx and then ran a quick test from Qualys SSL Labs to validate the changes and found that I needed to make an additional config tweak to close a Diffie-Hellman issue. With that complete I the server was now scoring an A from the Qualys SSL Lab testing and it was answering TLS 1.0 requests from cURL. Another 5 minute problem closed 2+ hours later. What is Chip-and-PIN for credit cards? A few weeks back I was enjoying a meal at the Barclay Prime Steakhouse in Philadelphia, PA when someone asked me to explain what chip-and-PIN really meant to the everyday American consumer. I paused for a few seconds contemplating how two describe a solution that US banks weren’t really implementing. While EU banks have adopted chip-and-PIN, US banks are only adopting chip-and-sign. While chip based credit cards are more difficult and expensive for counterfeiters to physically copy and clone, chip-and-PIN does little to deter online fraud which is becoming a bigger and bigger problem on both sides of the Atlantic. If you’ve used a Chip-and-PIN card you’ve probably noticed that it takes about 7-11 seconds for the authorization to occur. A far cry from the 3-4 seconds it generally takes when swiping an older magnetic card. I’m not sure if this is a function of the crypto, the immaturity of payment systems or the actual retail POS systems themselves. I know that in my organization there’s been quite a bit of discussion around what this will do to customer check out times, I’m wondering if there will be a marked increase in ADHD medication sales coinciding with the rollout of chip-and-PIN. I know that Target and Home Depot, both victims of very public data breaches, are now using chip-and-signature in their retail stores. Near field communication is a low power, short range radio signal that can be used between mobile devices or between a smartphone and a credit card payment terminal. Google was the first on the scene with Google Wallet in 2012 but adoption has languished partially because all the vendors want a piece of the pie. Fast forward to present day and you have Apple Pay, Samsung Pay and Android Pay. Android Pay is just a more refined version of Google Wallet although there are quite a few complaints about Android Pay not working well on the net. What’s the allure of these mobile applications? You can store your credit cards and loyalty cards within the mobile app and then just tap and go to make your purchase. No need to carry all those credit cards and loyalty cards in your wallet or purse anymore. I have a Motorola Moto X which supports NFC but I haven’t really tried it yet with any retailers. Are you using either Apple Pay, Samsung Pay or Android Pay?